Wafer Brushes for any job. 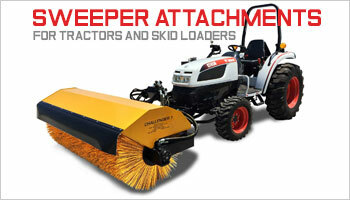 We've been building sweeper brushes and their attachments for over 50 years. Need a replacement tube broom or sweeper attachment? What about wafers and gutter brooms? 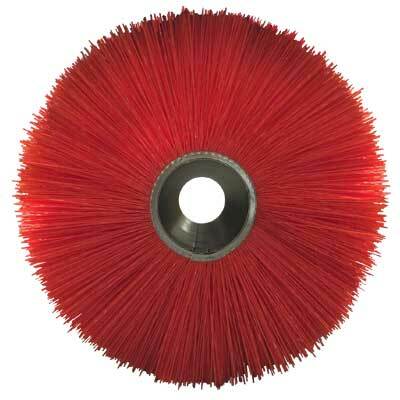 At Smith Equipment, we manufacture a large variety of industrial sweeper brushes. Our state-of-the-art facility in Lakeland, Florida keeps our costs low so we can pass savings directly to our customers. When you need a high quality sweeper brush that lasts, come to us. 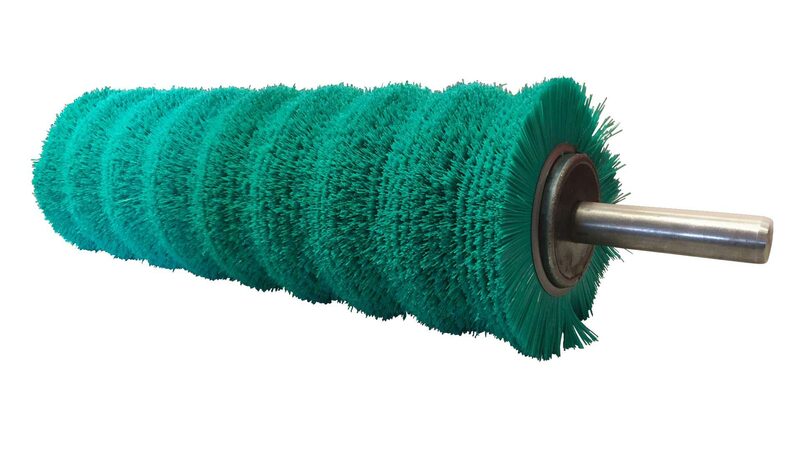 We manufacture industrial sweeper brushes for any application. We're a leading manufacturer of sweeper brooms and brushes since 1965. We know the sweeping industry and what their needs are by offering the original quick change tube broom system. Our sprawling 77,000 square foot manufacturing plant allows us to remain on the forefront of sweeper brush technology. Our quick change tube broom system was pioneered on our legendary Challenger 1 Sweeper Attachment. It allows crews to complete changeovers in about 2 minutes with one man and no tools. We also offer a multitude of industrial sweeper brushes and brooms for jobs like road resurfacing, runway sweeping, trommel cleaning, and much more! 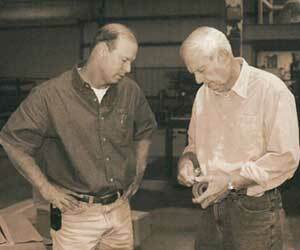 We build tube brooms, gutter brooms, wafer brushes, strip brushes, and can also fulfill custom brush requests. Our custom brushes help clean tomatoes, citrus, and even lay sod. When I needed a quick way to remove the caked mud and sediment from the river that flooded next to my company, I called the Smiths. I’ve been using sweeper attachments for years, cleaning various asphalt and concrete surfaces. I couldn’t decide what I liked more, how well it cleaned vs. how easy it was to replace the brush. There’s really no other comparison out there. If you want the best sweeper, you need to call these guys. 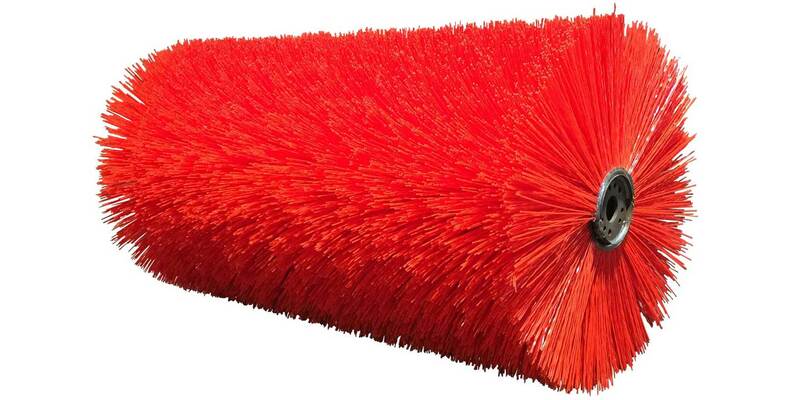 We manufacture industrial brooms and brushes for any application. Custom brushes are built to the specifications provided by our customers. 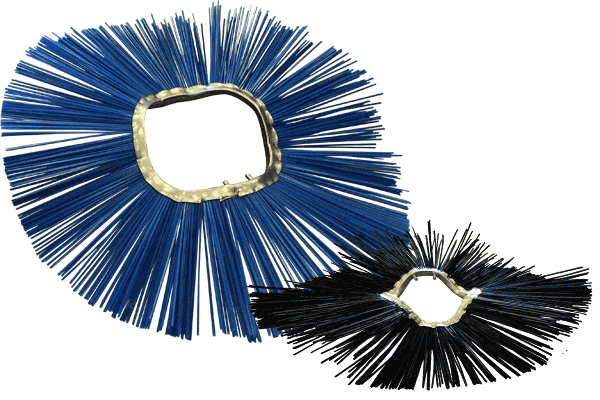 Using different filaments, we can customize your brush for its application. We make brushes for cleaning citrus, tomatoes, and other produce. Beyond food service, we make brushes for: tar and asphalt painting, sod laying, well cleaning, metal finishing, deflectors, and even pit transfer brushes. If you can use a brush for it, we can make it! 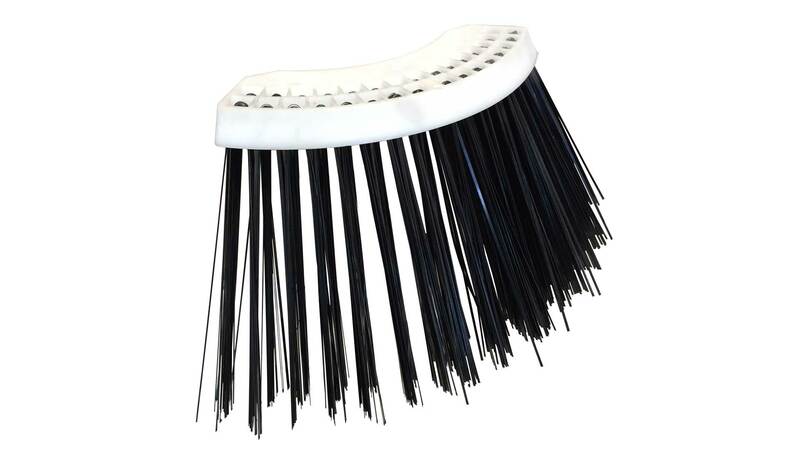 We offer a variety of bristle filaments like horse hair, tampico, PEX, polypropylene, nylon, steel wire, polyester, tynex, silicon carbide, and more! Need a custom made brush for your special application? We can help. Learn more! A sweeper brush or tube broom can come with a large variety of options. Tube brooms are industrial brushes with a cylindrical steel core that has polypropylene bristles, steel wire, or a combination of both. These bristles and wires are forced into steel channel that is pressed and welded onto the broom core. Sweeper brushes can be wound with certain spacing for varying bristle densities. High density sweeper brushes use the same material, but are more tightly wound and don't have any spacing between the channels. Known as coil spacing, this describes the gap between each piece of channel on the tube brooms. Main Brushes and Tube Brooms are interchangeable terms and usually refer to the same type of sweeper brush. Sweeper brushes are normally rotated on a type of automatic mandrel located near the ground level of the sweeper vehicle. Sweeper brushes are replaced according to several factors such as operator experience, amount of down force applied, and environmental conditions. 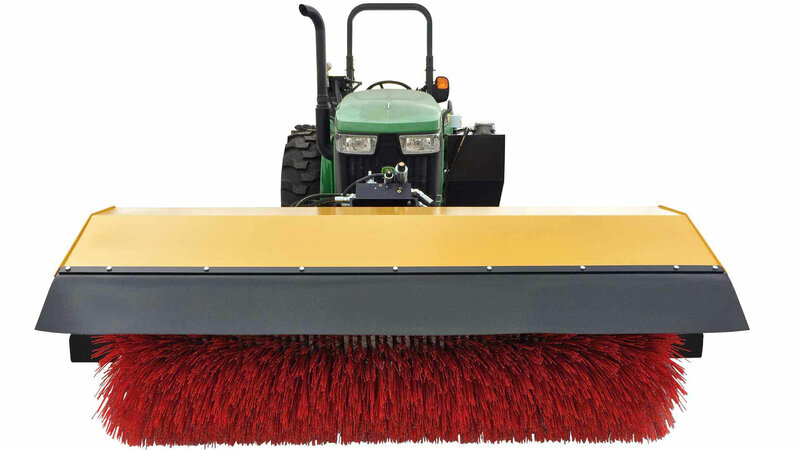 No matter what the job, Smith Equipment can manufacturer a sweeper brush for you. Call us today and speak with one of our expert staff for details. Sweeper Brushes, Tube, and Main Brooms. 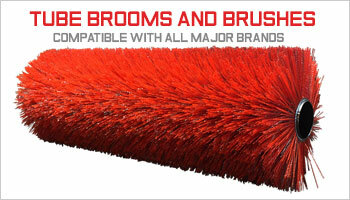 Find the best source for tube brooms and industrial brushes. 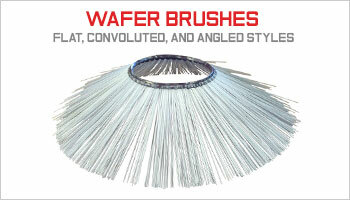 Wafers are the most commonly used sweeper brushes. Specializing in polypropylene and steel wire filaments, our wafers can be equipped with poly, steel wire, or both depending on the application. Wafer brooms normally come with a 6 3/8ths or 10 inch inner diameters. Most industrial wafers have three distinct styles depending on their application. Flat wafers, are usually more common, and require the use of spacers. Convoluted wafers don't require spacers and their continually angled channel covers a wider area and offers better sweeping power. Angled wafer brooms are ideal for farming and ground collection for applications like nut harvesting. They can also be used as gutter brooms! Wafers can also come in a wide variety of colors include our standard red, natural white, green, blue, yellow or military green. Discovery the uses for flat, angled, and convoluted wafers!